BVH concentrates in the defense of national, regional, and local insurance companies, businesses, employers, local government entities, and other parties involved in civil litigation. We are known for our commitment to quality, efficient case management, and a strong track record of success at trial. 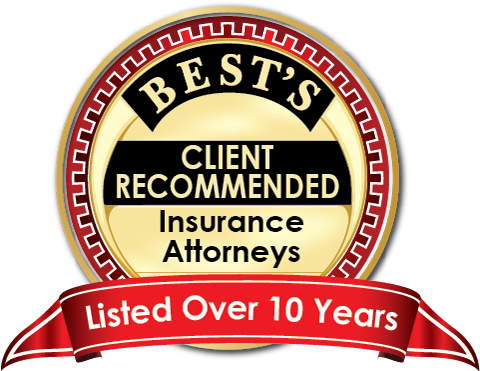 BVH has an AV Preeminent peer review rating from Martindale-Hubbell, the highest rating given by the organization, and has been recognized by A.M. Best as Client Recommended Insurance Attorneys for over 10 years. Several BVH attorneys have also received recognition in Illinois from various publications and groups including Leading Lawyers and Super Lawyers. Jim Best is an active trial lawyer with over thirty-five years’ experience serving the insurance industry in defense and coverage cases. In recent years, Jim has tried numerous multi-party and complex injury cases to jury verdict, including five involving fatalities and four involving serious brain damage, amputation, and quadriplegia. Jim also handles many of the firm's insurance coverage cases. Lori Vanderlaan is the firm’s managing partner and maintains an active trial practice throughout Illinois. Lori handles cases in all of the firm’s practice areas including complex insurance defense, employment law and coverage litigation as well as the defense of public entities in cases alleging a wide variety of claims such as fair housing, civil rights violations, and general liability. Alison Harrington defends clients throughout Illinois and southern Wisconsin in various practice areas. Alison’s practice focuses on complex civil litigation involving catastrophic injury, discrimination, civil rights violations, medical malpractice, business transactions, municipality liability, and consumer fraud.